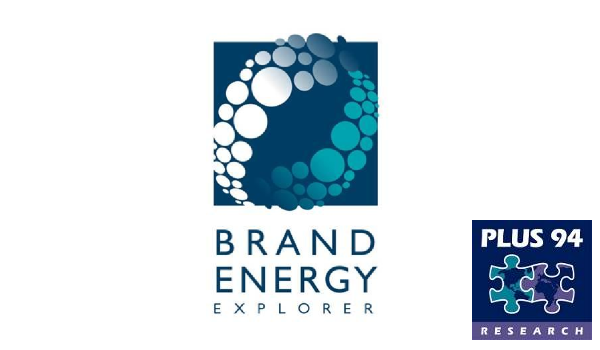 Brand Energy Explorer is an innovative and intuitively simple research technique for understanding the performance of your products within their various categories. It helps you to pre-empt market behaviour and to adjust your marketing mix accordingly. As such it is an important aid for your portfolio management strategy. 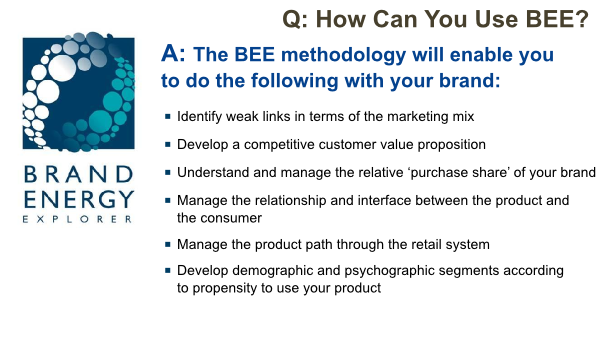 It has the advantage of helping you assess the purchase share position enjoyed by your brand, and what steps need to be taken to improve it. This may involve repositioning your product either upwards or down the scale depending on where the value lies for the category. 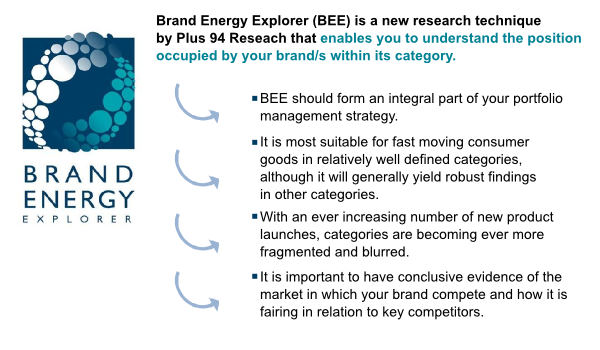 Ultimately, brands can be positioned for sustainable and competitive market performance through BEE based on a scientific understanding of different behaviour profiles within customer segments. This product is helpful in identifying exactly the main sources of brand strength for your brand, as well as for competitor brands. Accordingly, it helps you to focus your efforts on aspects of your brand communication and management that will make the biggest difference.